More than 20 companies joined the workshop and have thus expressed their interest in cooperation with the educational sector. The main aim of the meeting was to strengthen the partnership between the educational sector and the labor market. For many years now, there has been a recurrent complaint from the private sector that young people, when they have completed their education, have not acquired the skills needed to successfully enter the workforce. By developing new cooperative education formats and involving the private sector in the training of young people, this gap finally can be bridged. The meeting was joined by GJU’s Vice President Prof. Dr. Dorit Schumann who is also a member of the Logistics Science Department. 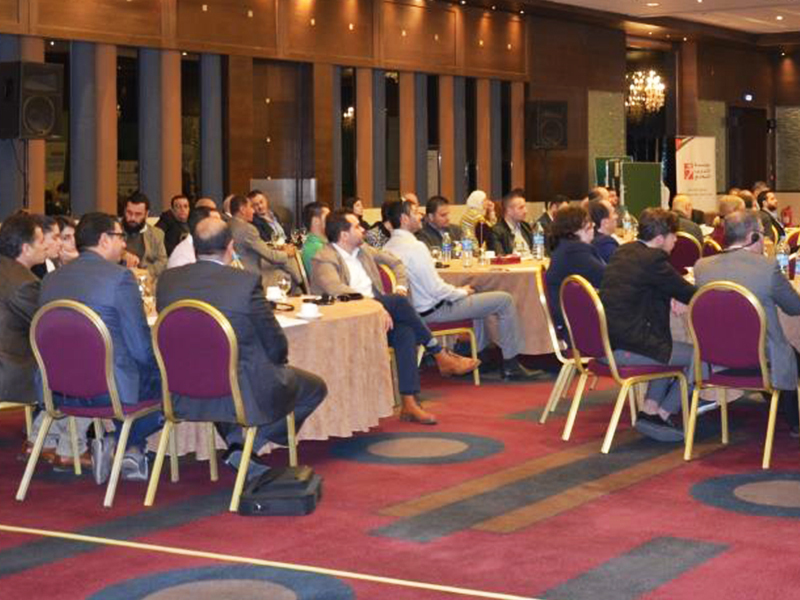 Prof. Schumann spoke about her first workshop when coming to Jordan. Within this workshop, the idea of having cooperative study programs in Jordan was born, and now we can actually see tangible results. On behalf of the German Development Cooperation giz, Ms. Eman Qaraeen welcomed the participants and expressed her satisfaction about the extraordinary participation and the strong interest in the event. Structure and aim of the National Sector Skills Council (NSSC) where presented by Mr. Nabil Khatib and Eng. Abdullah Jabour. The Council consists of representatives from the private sector, educational institutes and the government. Its main purpose is to identify needed skills in the private sector and support reflecting this in the design of educational programs. 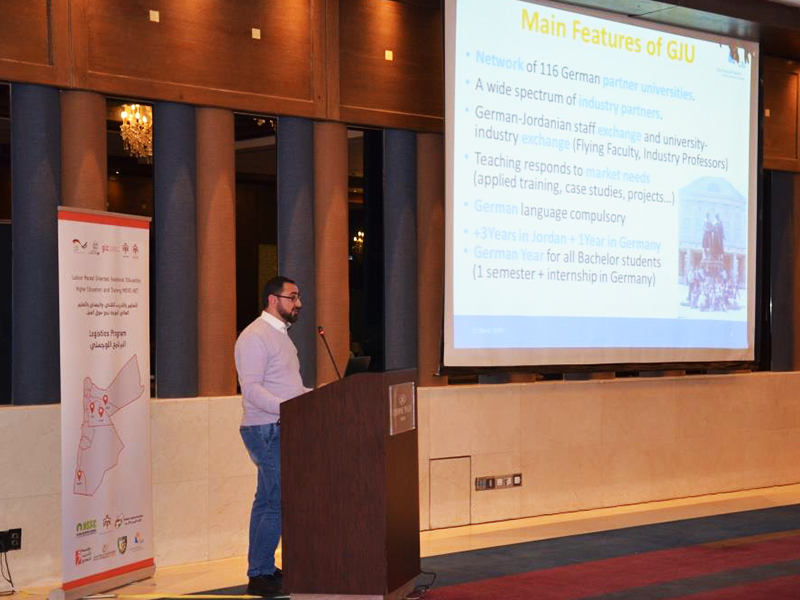 GJU’s Dual Studies Program was introduced by Dr. Abdelrahim Alsoussi, Academic Dual Studies Coordinator for Logistics Sciences. 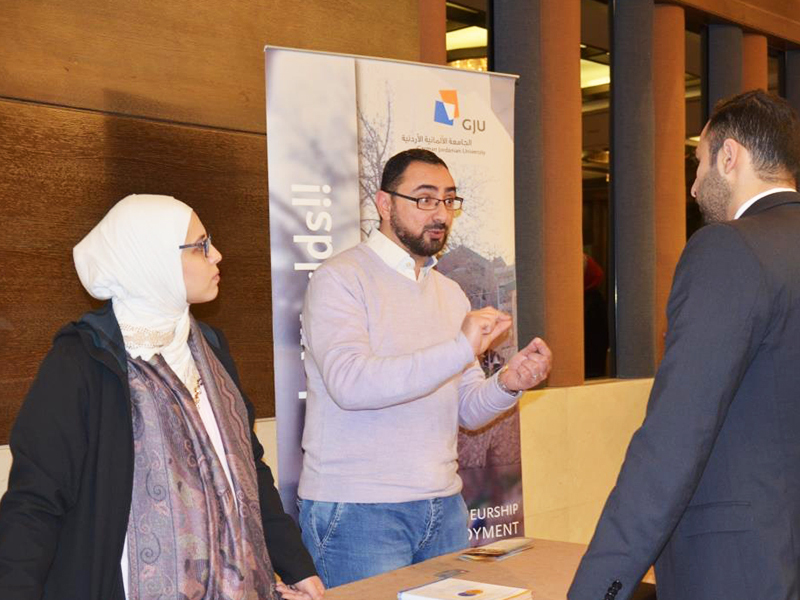 He explained the design of the Dual Studies Bachelor Track in Logistics Sciences and stressed out the advantages for the private sector when getting involved. Furthermore, he sent a clear message that GJU is very interested in collaboration with the private sector, as this is a program that can only be successful in cooperation. The workshop also provided an opportunity for exchange of cooperation opportunities and presentation of organizations during the market place exhibition.